Mom's Gone Bronson! : Giveawa: 4 Meal Passes and Autograohed Thumbs Up Johnnie Prize Pack! 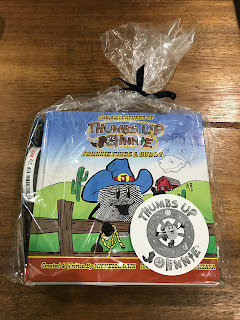 Giveawa: 4 Meal Passes and Autograohed Thumbs Up Johnnie Prize Pack! Disclaimer: This giveaway is a sponsored post but any opinions are my own, thank you. Giveaway host: Mom's Gone Bronson. Ovation Brands are hosting various events at various Ryan's, Hometown Buffet, Old Country Buffet, Country Buffet and Furr's Fresh Buffet locations to celebrate the character of Thumbs Up Johnnie. From Sept 14th until October 19th (every Thursday) between 5pm and 8pm, with the last one coming up, soon, you can head down to your nearest location and take part in the activities. 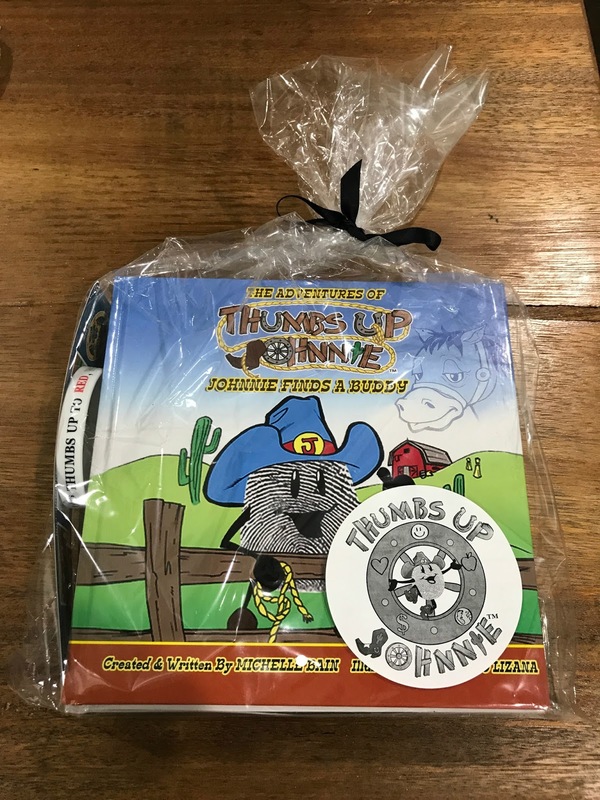 In the mean time, you can also enter to win a Thumbs Up Johnnie prize pack, consisting of stationery, Thumbs Up Johnnie books that are autographed by the author: Michelle Bain, plus 4 meal passes to any of the mentioned locations, courtesy of Ovation Brands. All you have to do to be in with a chance of winning, is enter via the rafflecopter entrance form, below - come back every day for your daily entries, too! Entrants must be 18 or over and reside in the U.S.A. Please ask parents permission before entering if under 18. The winner will be picked the day the giveaway ends and will need to confirm their prize win via email. We will never share your email with anyone and we are not paid to take or share any of your information.